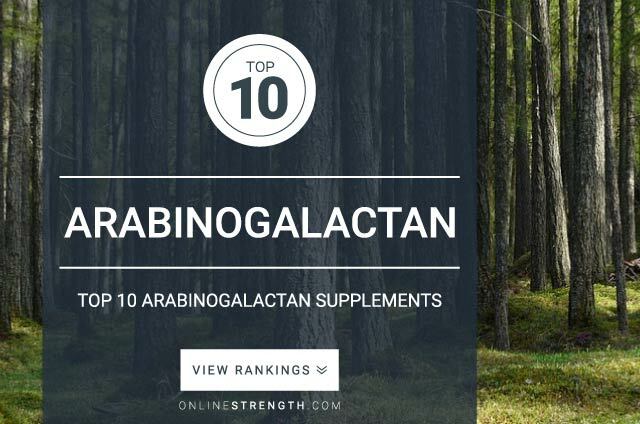 Arabinogalactan is a fermented fiber found in a wide range of plants; however, its most abundant in plants in the Larix family. The North American Larch larch tree has the highest concentration of Arabinogalactan. arabinogalactan is one of the most powerful gut and immune system enhancing supplements on the market. Studies show that supplementation of arabinogalactan increases production of short-chain fatty acids, promotes the production of beneficial gut microflora, and may stimulate the production of natural killer cell cytotoxicity. Other benefits of Arabinogalactan include enhancement of the immune system, and inhibiting tumor cell growth in the liver. Overall when paired with healthy diet and exericse, arabinogalactan can help build a more responsive immune system. Arabinogalactan Dosage: 1,500 mg – 9,000 mg daily, in divided doses, preferably with meals. At this time there is not an exact set dosage regimen that can be followed based on research. Its best that you follow your products supplementation directions for best results.